If you’re in the market to renovate your kitchen, you’re probably enjoying the inspiration stage. Flicking through stunning images of kitchens in interiors magazines, drooling over dream kitchens in blogs and galleries, and pinning endless kitchen pics on pinterest – it’s a lot of fun, and it helps you develop a good idea of the style of kitchen you’d love to create. However, what happens when you realise that your designer style goals don’t match your budget? Firstly, don’t despair. It’s possible to get a kitchen with designer good looks at a fraction of the cost, without compromising on quality, if you choose a flat pack kitchen such as the Essential range by Freedom Kitchens. So, what exactly is a flat pack kitchen – and why is it cheaper? 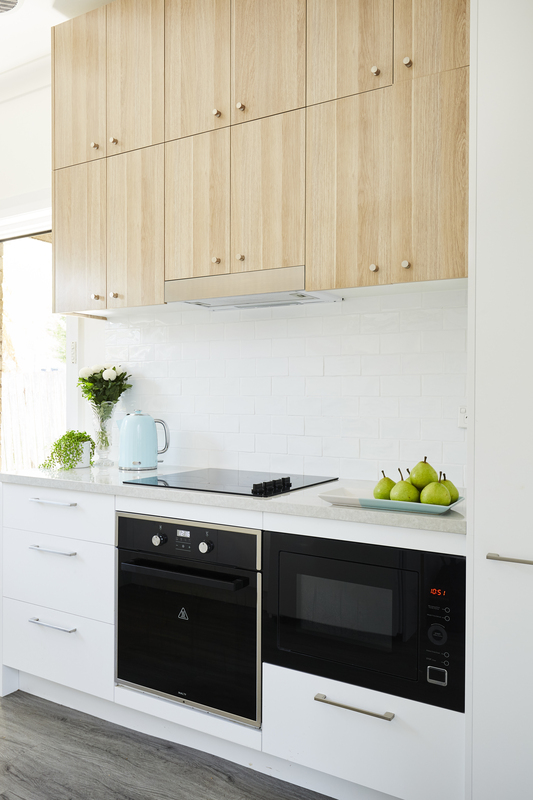 A flat pack kitchen is basically all your kitchen cabinetry supplied to you with the cabinet doors and boards in flat packs, which you then need to assemble and install. The fact that it’s in its ‘deconstructed’ state is one of the reasons it can save you money, as the price doesn’t include the factory labour to do any pre-delivery assembly into modules. So you can DIY that part or find an affordable tradesperson to do it for you, along with more labour-intensive installation. However when it comes to the product itself, you need to know that not all flat packs are created equal – between brands, there’s a vast difference in style choices, quality of materials, and the amount of assembly required. There’s cheap options and the quality will reflect that, and then there’s the more affordable ‘luxe look for less’ options which won’t compromise on the quality you’re looking for. 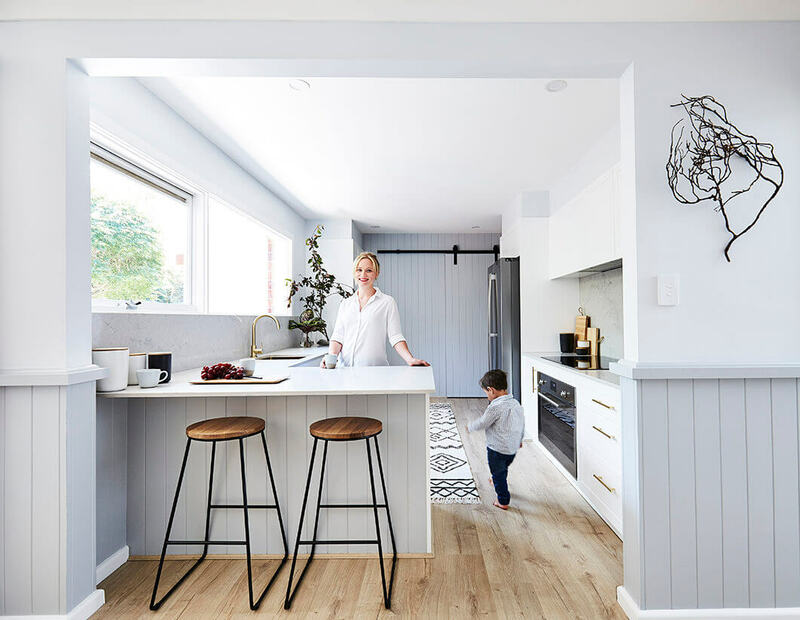 This latter option is what Interiors Addict blogger Jen Bishop chose when designing her new kitchen – you can read more about that here. What’s the difference between flat pack kitchen brands – comparing range, quality and easy of assembly? Many of the cheapest types of flat pack kitchens such as those you are able to buy off the shelf and take home are extremely limited in their range of door styles and colours. So if you go down this route you risk having your new kitchen look more basic and generic than you’d like – and any prospective future buyers of your home may share that impression. Fortunately with Freedom Kitchen’s stylish Essentials range, we’ve carefully selected several of the most popular on-trend styles and colours and made them available in a range to suit different tastes, with options to mix and match colours to express your style. It also comes delivered to your door – so no need to lug it home yourself. Quality is often another issue with flat pack kitchens. The cheapest options won’t include details that are offered in more expensive designer ranges. This is where Essential is a cut above the rest. Whilst still being affordable, the Essential kitchen range comes standard with soft close drawers and doors, highly moisture resistant cabinetry, strong ABS edging to avoid chipping, and adjustable commercial grade polymer legs. Ease of assembly is another big factor to consider. With most flat packs, you’ll need to do a lot of work in this stage, such as drilling holes in exactly the right spots (and there will be quite a lot of them). With an Essential range kitchen, you’ll LOVE that we’ve pre-drilled the holes for the dowel construction, saving you a lot of time and potentially money, if this step is something you would have paid for. Ready to start your flat pack kitchen project with Essential and SAVE on your kitchen renovation? simply click HERE to book a design appointment today. *Essential kitchen range kitchens delivered in approx. 10 days after receipt of final payment.